These two groups together represent all sworn Police Officers serving the City of Framingham, absent the command staff. It was with great concern and surprise that we learned Mayor Spicer has nominated Steven Trask to serve as the next Chief of Police for the City. 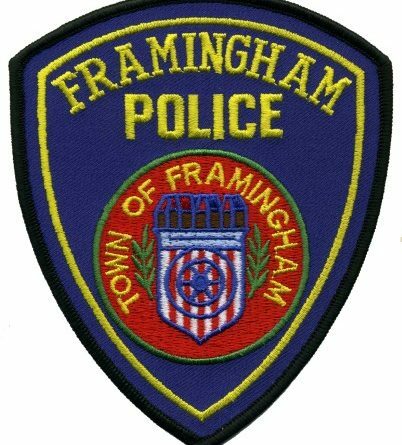 The lack of any process to identify departmental priorities, community concerns or the best candidate to serve as Framingham’s leading law enforcement officer is a disservice not only to the men and women who serve this City, but to the citizens themselves. It has been a very public matter that the department has been through some of its most trying times recently, and making no effort to identify new leadership that could change the climate is perplexing. The Mayor states that she wants transparency, inclusiveness and diversity in our city, yet nothing about this appointment reflects any of those edicts. This appointment was done behind closed doors, with no input from members of the department or public. We have confirmed that the paid consultant hired to gather information as to the current state of the department has not provided a single written report or any information that would lead the Mayor to proclaim Steven Trask has done anything to improve the department or change the complete distrust that exists between the administration and its employees. The issues that plagued the department under Chief Ferguson’s leadership continued unaddressed by Acting Chief Trask during his brief tenure, it has simply been more of the same. Steven Trask served as the executive officer of the administration that made the choices that lead to officers being sent to prison, Federal lawsuits being filed from members at every level of the organization against the City and department administrators, and record numbers of requests for transfers from the department. The men and women of this department were hopeful that a new city with a new Mayor would bring change to the old and failed leadership of the past, but instead we have been given the status quo. It is our hope that the City Council hear our request for a true open and fair search for a police chief and give some of the true leaders that do exist in our department a chance to be heard. We are confident that any findings by the consultant hired by Mayor Spicer, J. Flagg Consulting, will prove that a change in leadership, identification of concerns and public process are what is most needed here and not opting for the easy, next-man-up approach that the Mayor has chosen.